Sightline’s built-in productions capabilities are designed to exceed expectations. With significant control and flexibility without sacrificing speed and quality as well as end-to-end automation, make production issues a thing of the past. Meet your production specification. Produce with ease. 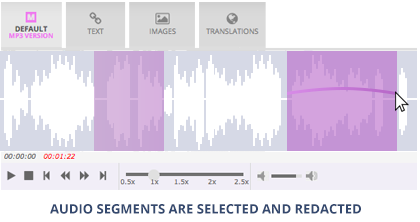 Sightine has a full-featured productions module that supports a dizzying range of flexibility. With over 200 individual controls, finally define what you produce, how you produce it, in what order you produce it, and how you brand it. Productions happen directly in Sightline and do not require offline, out-of-tool manipulations or changes. Building eDiscovery software for 10 years and serving hundreds of thousands of productions requests has taught us the criticality of productions QC. That’s why Sightline has built-in pre-generation checks to ensure there are no gotchas. And, Sightline has a privilege guard to make certain no priv material gets produced. Automated file-level checks look out for mis-productions, inspiring confidence in the substance of your production. Full end-to-end automation in Sightline is designed to minimize human-caused delays. 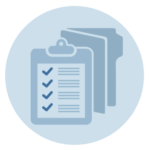 Once your specifications are dialed in, Sightline automatically performs QC checks, converts natives to images, applies branding, confirms there is no priv material being produced, and reserves Bates ranges for each document. Then, presuming no issues are discovered, Sightline will automatically proceed with the generation itself and presentation of production set statistics. 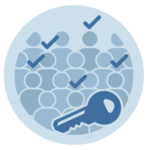 Because Sightline allows administrators full control over who can do what, by project database, administrators can determine which users to give production privileges to. That way, a user might have allowance to produce in one project, but not others. Sometimes, you just need the data you need, and you need it out of the system now. That’s where Export comes in handy. 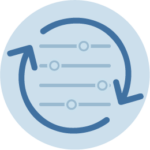 With Export, just select any metadata or work-product fields you need along with your export format, for Excel, Concordance, or any other system. Get your docs anyway you need them to support sharing outside the database. Getting your documents out so you can share them shouldn’t be so difficult. Long gone are the manual requests project managers, the errors and delays. 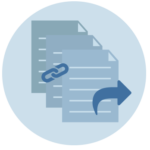 In Sightline, simply point, click and get the records you select in a PDF format so you can share them with others outside the system. When producing audio records, administrators can define if redactions are to be “burned”. Then any redacted portion of the audio file will be spliced out of the produced MP3. In place of that redaction, audio filler can be inserted, identifying the removed portion.